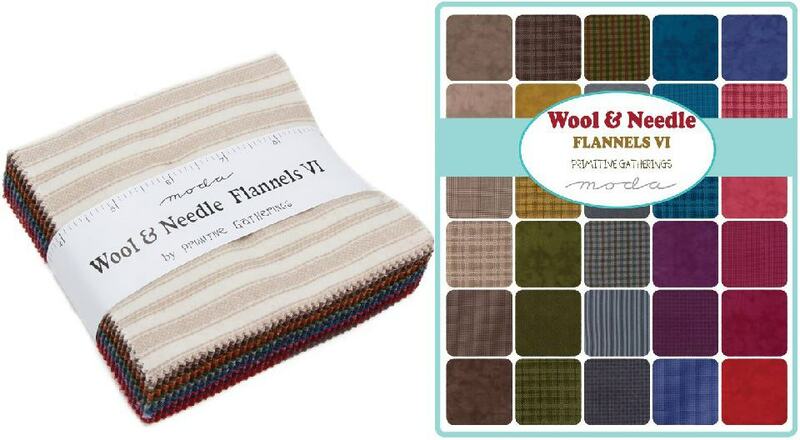 Yummy soft flannels with the look and feel of wool with out the price of wool! 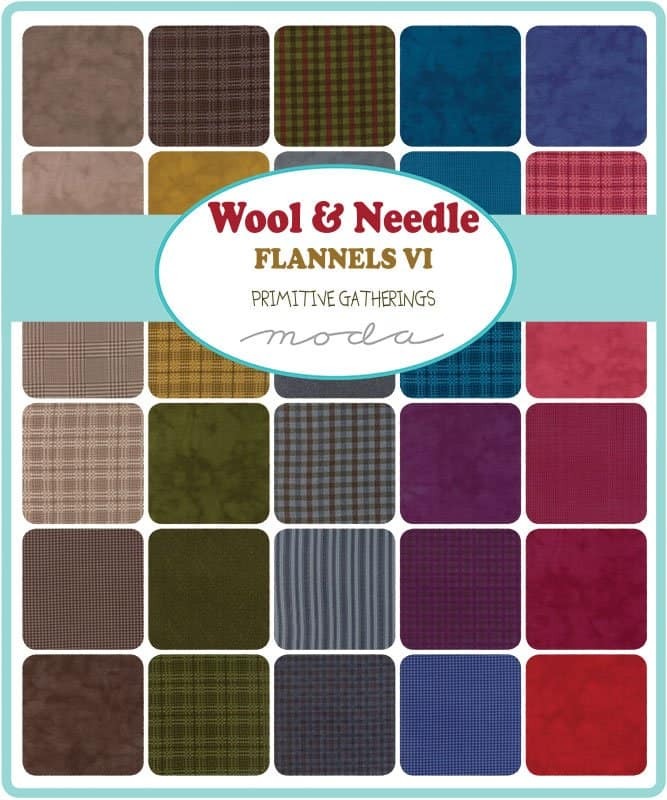 Wool Needle Flannels VI 5″ Charm Pack by Primitive Gatherings for Moda fabrics. This 42 piece set contains all the fabrics this collection in 5″ charms / quilt squares. Fabric is all new, 100% premium quality Moda cotton. See photos of entire fabric collection above. More in this collection available in our store while supplies last. Use store search engine to find. Collection Description: Yummy soft flannels with the look and feel of wool with out the price of wool!